I’ll be reviewing another original film from our friends over at Netflix called The Apostle. Finally, Netflix comes out with a great film! 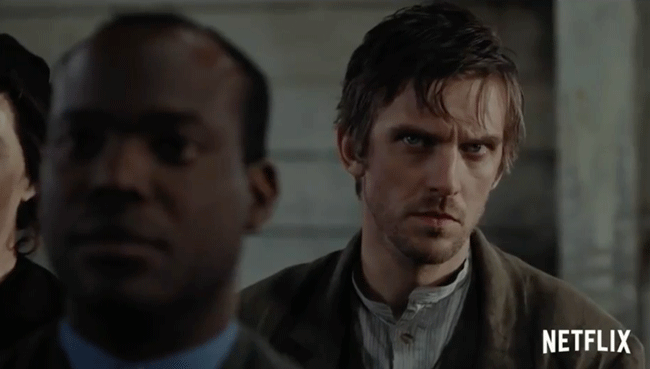 Directed by Gareth Evans and starring Dan Stevens, Richard Elfyn, Paul Higgins, Bill Milner, Catrin Aaron, and Mark Lewis Jones, The Apostle is a horror-fantasy-thriller film. Set in 1905, a drifter on a dangerous mission to rescue his kidnapped sister tangles with a sinister religious cult on an isolated island. So since this is by far my favorite movie from Netflix this year, I will not spoil it. Let’s just say that this thriller absolutely does not follow any known Hollywood formula. There are several unexpected plot twists, brutal violence, and fight sequences, as well as creepy creatures in the woods, gruesome torture, and a surprise ending you won’t see coming. Even if you’re not a huge fan of horror, this is definitely more of a mystery-thriller. Watch The Apostle on Netflix!